I am a big lover of vertical stripes, any items with this print instantly draws the eye up and down giving the illusion of being slimmer and taller. The Topshop 2015 collection has a great range of vertical striped items from bold wide leg trousers to lace skater dresses and clean-cut tunics. 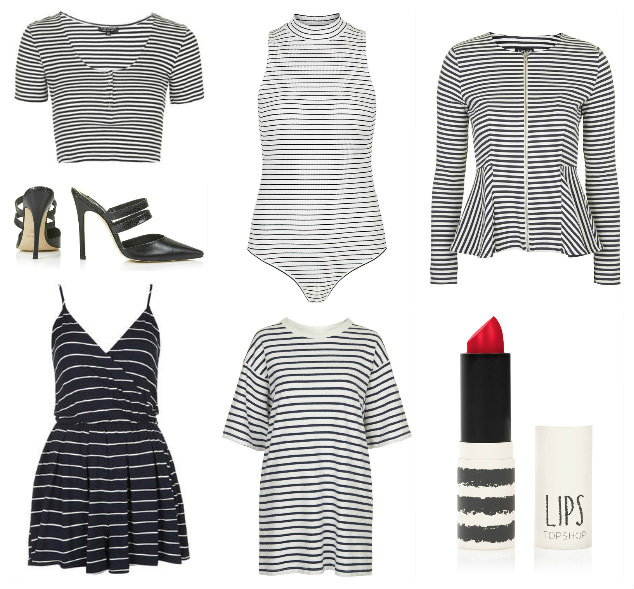 Inspired by the uniform for all French navy seaman Coco Chanel introduced Breton stripes to the fashion world. Today the classic Breton stripe is back on the shelf in a number of forms, displaying effortless chic when teamed with heels and a bold red lip . 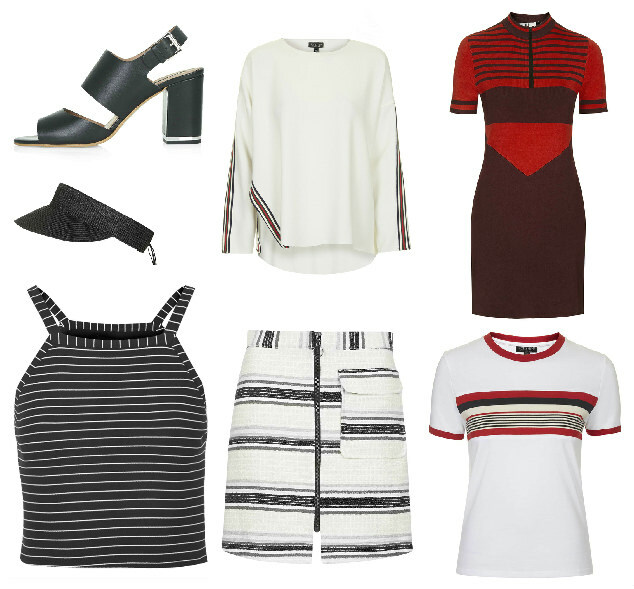 Sporty stripes for a comfortable but sophisticated look. Earthy tones and neutral palettes that are easy to layer and combine. Summer sun calls out for colour, from clashing blues or vibrant reds going through to sweet pastels. Combine a mix of textures from metallic to fluffy for a daring look. 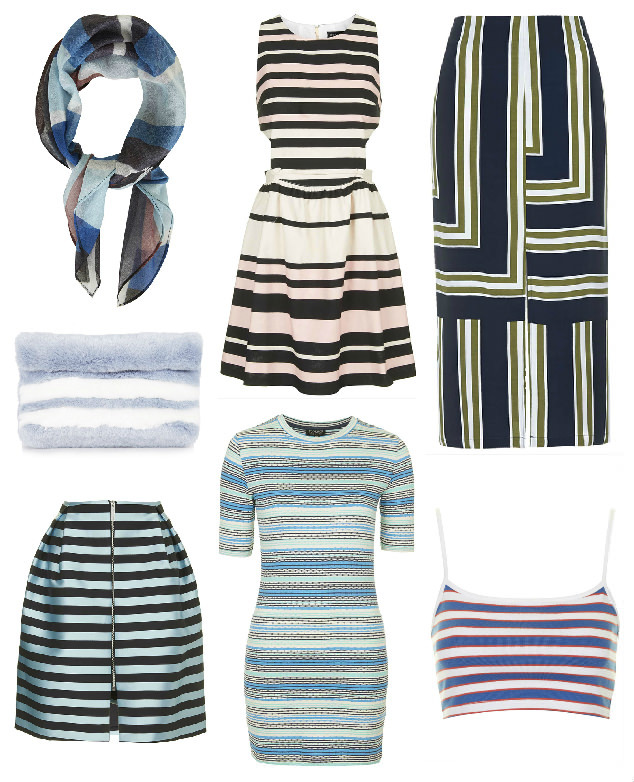 Which of the Topshop 2015 stripes are you wearing this season?